Every month, people search “gardening” in Google approximately 35,000 times. That’s a lot and indicative of how popular and how many gardeners there are in the world. That’s just one word among thousands related to gardening. Check this out. There are 2,400 searches each month for “how to grow roses”. That’s one type of flower and it’s a specific inquiry. While I’ve never added up all the searches for all gardening related terms, it’s millions per month. One consequence of gardening being so popular is that there are many gifts specific to gardening and gardeners. Gardeners are often passionate about it and appreciate gifts that support their hobby and passion. While our list isn’t huge, we put together an interesting collection of gift ideas for gardeners below at a variety of price ranges. Check it out. This awesome kit has everything for your favorite gardener. The vegetables are in unique colors, and the weird shapes and the great tastes should be perfect to add to your garden and your table. This creative book is great for both social drinkers and gardeners. It outlines the benefits of different types of plants you could grow and shows which garden plants actually go into the making of the world’s finest drinks. This is also a great book for a winemaker or a home-crafted beer brewer. If you have ever wanted to start your own brewery and grow the food and grain yourself, this book is for you, too. These amazing gardening gloves are perfect for a full-time gardener who just wants to be able to poke holes in the dirt without wearing out their fingertips. 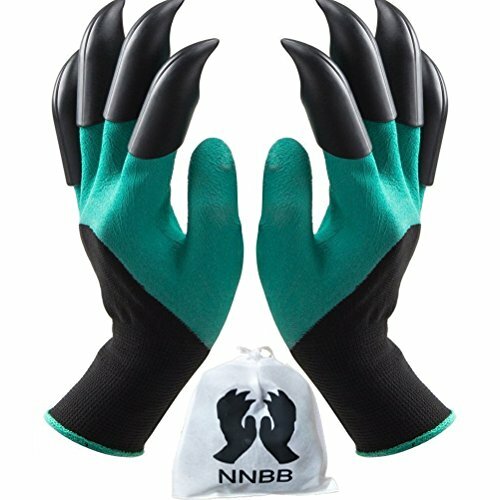 The hard protective plastic fingertips with pointy tips really make these gloves work perfectly. Instead of getting your gardening gloves dirty and soggy all the time, these will stay dry and comfortable (and give you a lot more leverage) in the garden. The awesome bedtime book is great for your favorite gardener to curl up with after a long, hot day of working in the sun. It comes with tips, advice, stories, and beautiful, memorable, gardening moments. Not everyone understands the feeling of pushing your hands into cool, moist soil or watching little green shoots grow a little more every day by your hands. It is so important to always embrace the peaceful gardening lifestyle. Tell your kids that they can use their real reindeer droppings in their gardens in the spring. Help them “mulch” their gardens with these droppings and watch them turn into sunflowers in full sun! Make sure that you keep the ground well-watered, well-drained, and that you plant them in full sun to grow your sunflowers. It’s a magical surprise for your gardening kids! This is the coolest bag and stool combo for both campers and gardeners. The tote bag latches onto the stool so that you can have your gardening tools nearby without getting the bag dirty. The stool is great for crouching on your knees, for gardening and for sitting around the fire while you are camping out. The 5-piece tool set is great for digging a hole for a fire and for working in the garden. It is perfect in every direction and is one of the great gift ideas for gardeners. This is the perfect Old Man Tree Planter which looks like your wall has a carved man in a gnarled tree in it. It is rustic looking, it is very cool looking, and it helps your wall, indoors or outdoors, look absolutely wonderful. When a plant is in it (check the pictures in the listing), the tendrils look like they are the hair or branches of the old man. It really is a wonderful sight to see. 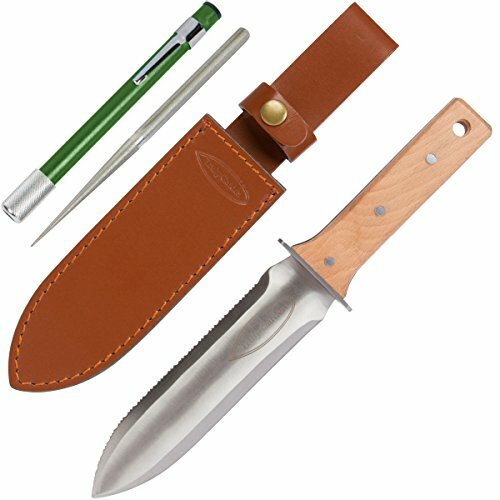 This is a great knife gift for gardeners because the knife has depth measurements along the blade, it is pre-sharpened, and the sharpening tool that comes with it has its own sheath, just like the knife does. The leather sheath for the knife keeps it safe and away from moisture, and it looks and smells great. These amazing essential oil soaps will keep your rough hands soft and nurtured while you garden and scrub afterward, even several times a day. You will get to where you crave the amazing scent of your favorite bar of essential oil soap and this 15-bar sampler will give you every choice available to find out which scent you absolutely love the most. Some of the scents included are Tea Olive, Juicy Peach, Orchid Jojoba, Aloe Butter, and Pineapple Cocoa Butter. So soft and delicious. This elegant bath gift set comes in a white picket fence and flower-covered basket. For the bath, your favorite gardener will get beautiful, soothing bath salts and bath and shower gel, as well as a body scrub and a loofah. For relaxation, they will have body lotion, luxurious body butter, and tea bags for their morning rise. Plastic garden tools and morning glory seeds are included for good measure. The entire basket is green tea flavored in all of its products. This makes the ideal gift for a gardener of any age. Complete Herb Growing Kit + Stackable Planter in Any Color! If you have heard your gardener friend talk about growing herbs but they never seem to get around to it, set them up in style. This complete herb kit is fully equipped to sit in the sun and bring culinary pleasure to your gardener’s kitchen all year long. NOTE: The planter is self-watering and it includes a hanging chain! 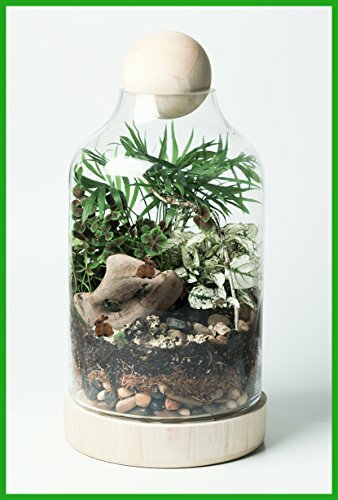 This is such an elegant and sophisticated terrarium, complete with live plants and instructions for how to easily keep it going and growing! The simple design and glass/wood features highlight the beautiful display inside. Set it as the only object on your windowsill and watch how the sunlight makes it look like a magical little world inside. This terrarium garden was specifically designed for bad-news gardeners who can’t get anything to grow. These sturdy bulbs are shipped straight from Holland and, in a few weeks, they provide three Grand Amaryllis plants with large, blooming flowers. The show is stunning and is perfect for all times of the year. The colors and decor of these particular flowers also make them a perfect set of flowers for Christmas, particularly as the pot they are planted in is shimmering gold. Enjoy and save a cutting for us! These stunning glass orbs are 7.5″ in diameter and put on a magnificent display in your garden, day or night. Each takes a total of 3 double-A (AA) batteries (9 needed in all) and they can be put along your garden or displayed in a grouping together, at different heights, among your plants or on your porch. Their attractive colors can signify the elements (earth, wood, and water) or they can be used to mark off different areas of your garden. This is one of the most popular composters in the world and many users have rated it highly and have found that it works perfectly. They also found that it sits comfortably in a corner of their porch, in their garden, and even just at the end of a regularly harvested double row of produce. It’s a great way to remind your gardener that they can always use more mulch. 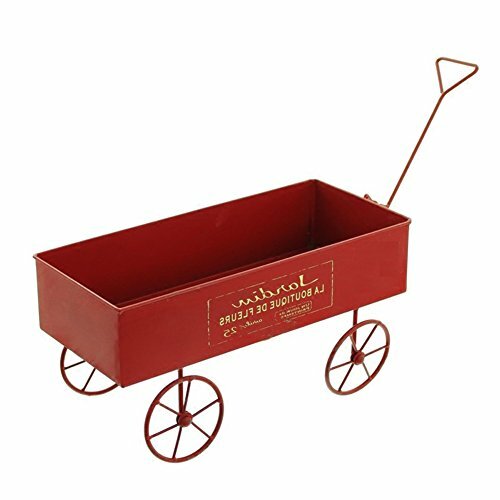 This perfect red wagon for planting is absolutely wonderful to use as a planter in an English garden along a wall or hedge or to use as a statement piece on your front porch or deck. The bright classic red (with real, working red wheels) makes it perfect for blue flowers or yellow daisies. Use a single color of flower planting because the red color of the wagon is already very bright. If your front porch gets a lot of direct sunlight in the morning, put fresh herbs and mint in your red wagon and trim a little to use in your breakfast every morning! The single layer of water flow (single tier) makes this the perfect low-sound fountain for an indoor wall of your home. It also goes extremely well in an atrium or conservatory on the side of your home. If you prefer to keep it outside, it would look really well being surrounded by deep green foliage. You can choose from 2 different heights (for different prices) and it has a small light to keep it lit and attractive looking at night. The simple bronze finish will make the perfect addition to your garden without making it look too “busy”. This is an excellent gift for someone who has an indoor garden, with or without water fountains. The scrollwork design and mesh metal basket platforms make this attractive plant stand a very fine offering for your friend and is one of the great gift ideas for gardeners. If you would like to give a complete gift, buy dark green evergreen plants with bushy or flowy tops and place them in black pots to blend in with the nice wrought iron finish.